Welcome to Porsche of Peoria! Through our long history our organization has continually improved; from adding qualified personnel to new, more spacious facilities, to a wider variety of high-quality cars. We preserve lasting relationships with our clients who return to us with each new purchase thanks to our reputation of reliability and interest in the well being of their vehicles. We understand and respect that an automobile is a large investment, and we strive to help you care for your investment for as long as necessary. Welcome, and we hope you enjoy your visit – virtual or otherwise! At Porsche of Peoria we have a complete selection of new Porsche models. Whether you are in search of the 718 Cayman, Cayenne, 911, 718 Boxster, Macan, or Panamera in the Central Illinois area, stop by our dealership to take a test drive today. You can even view our new inventory right on our website. If a pre-owned vehicle better suits your needs, Porsche of Peoria has a variety of certified pre-owned Porsche models. View our used car inventory today! 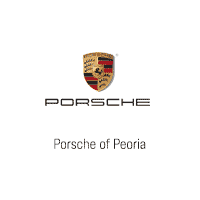 Looking for Porsche repair in the Peoria area? Our factory trained and Porsche certified service team experts are always ready to help you. You can book a service appointment online or call us at (309) 243-7000 and one of our Porsche service advisors will be happy to help you set up your appointment.